Dahlias are fabulous cut flowers and that’s the #1 reason people grow them. But dahlia HS Date has so much more to offer. It’s the kind of plant you grow once and then just can’t imagine being without. Here are a few of the things that make this dahlia so special. HS Date’s single, daisy-like flowers have a chocolate brown center, encircled by a ring of sparkling, golden-yellow stamens. During the growing season, the petal color varies from soft peach and apricot to buttery gold, depending on the air and soil temperatures. 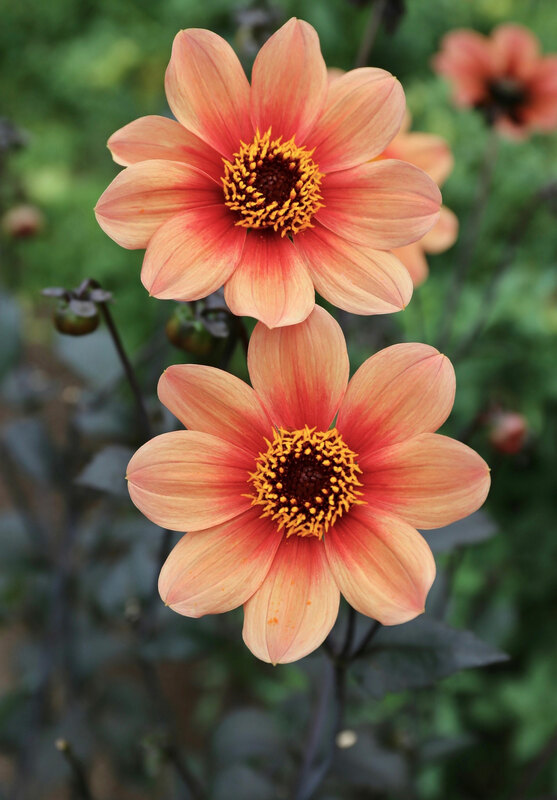 A red-orange halo around the center of each flower adds to this variety’s very distinctive look. This is a mid-size dahlia that rarely grows more than 36” tall. HS Date’s growth habit is also looser and more open than a typical dahlia, which makes it ideal for perennial borders. 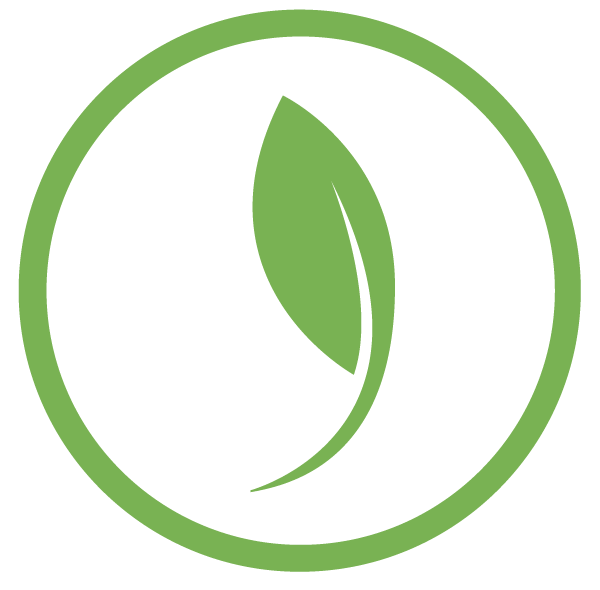 This branching habit also means there’s no need for staking. With its glossy, burgundy-maroon foliage, this plant really stand out from its neighbors. The foliage is also a flattering backdrop for the lighter-colored blossoms. HS Date produces an astonishing number of flowers. – more than a dozen at a time – so there’s always plenty of nectar and pollen to go around. You can count on attracting a constant stream of admirers all summer long, including bees, butterflies and even hummingbirds. In fact, planting HS Date in your vegetable garden may help improve pollination for crops like tomatoes and peppers. HS Date is part of the “Happy Single” Series, which includes more than nine different varieties in a rainbow of pretty colors. All grow approximately 30-36” tall and feature dark foliage and pollen-rich single flowers on long, wiry stems. 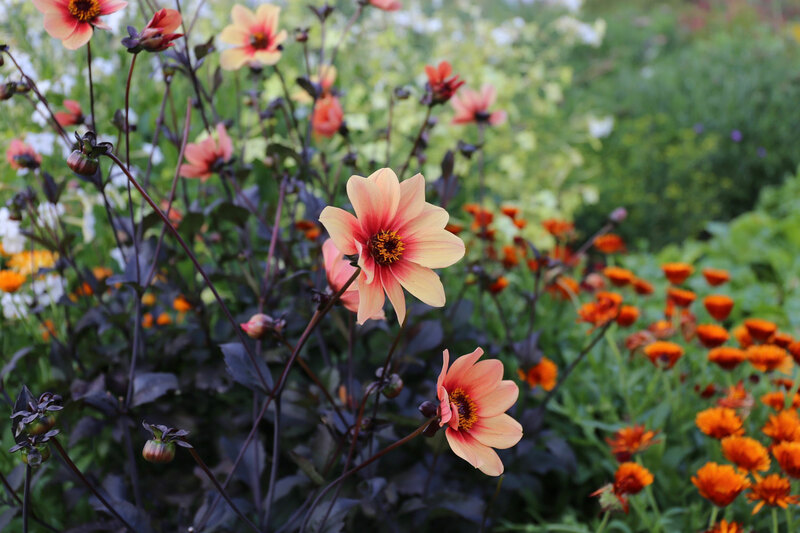 As with all dahlias, removing the spent flowers (including stems) will encourage these plants to continue blooming right to the first frost. Good partners for HS Date include asters, helenium, phlox, Russian sage and other late-blooming perennials. HS Date is also an attractive cut flower. 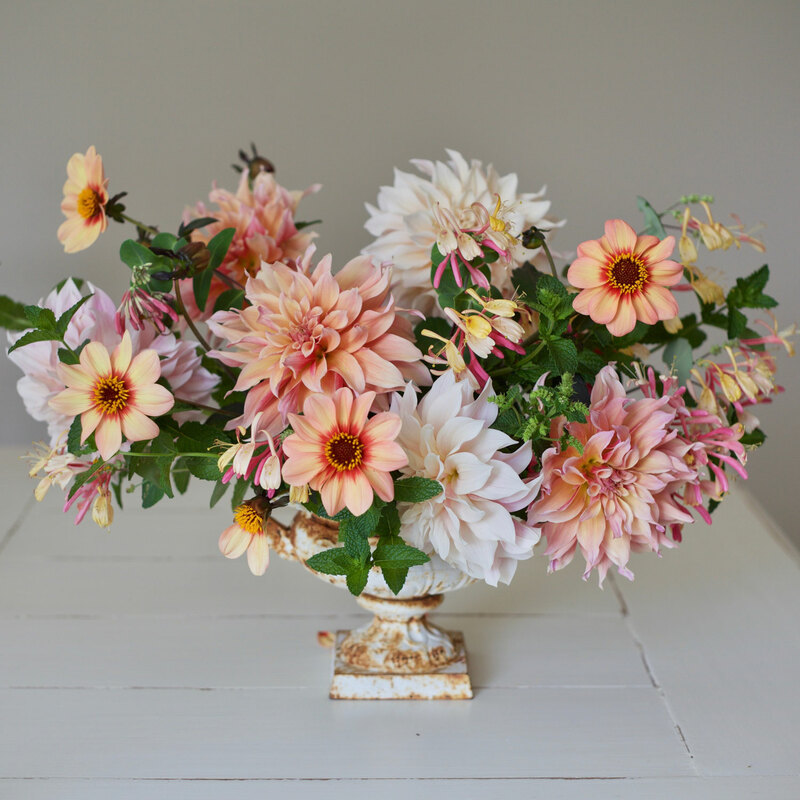 Since single dahlias don’t travel well, they are rarely available in wholesale flower markets. Only by growing them yourself can you enjoy how much fun and personality these flowers add to summer arrangements. HS Date is a star in our Flirty Fleurs Verona dahlia collection. 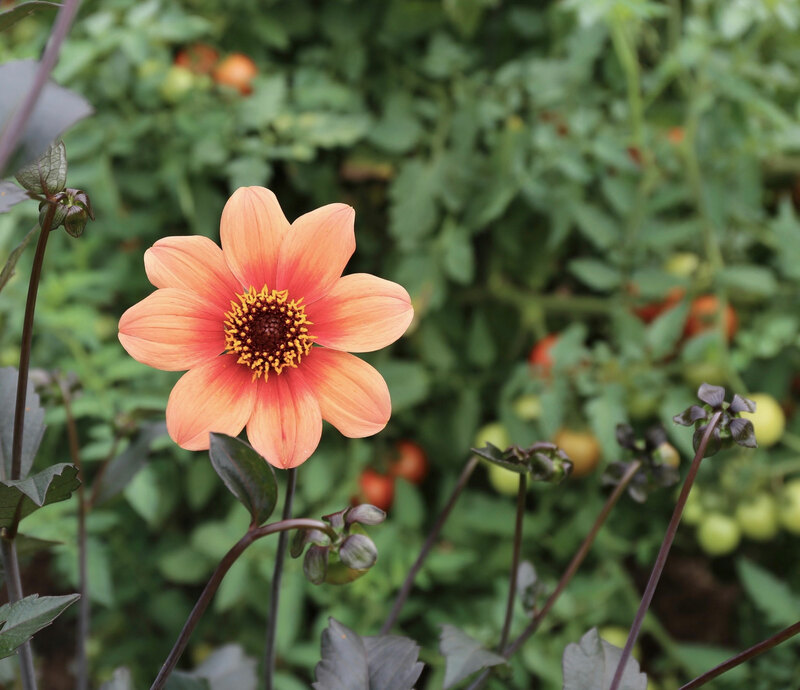 Ready to give this winning dahlia a try? 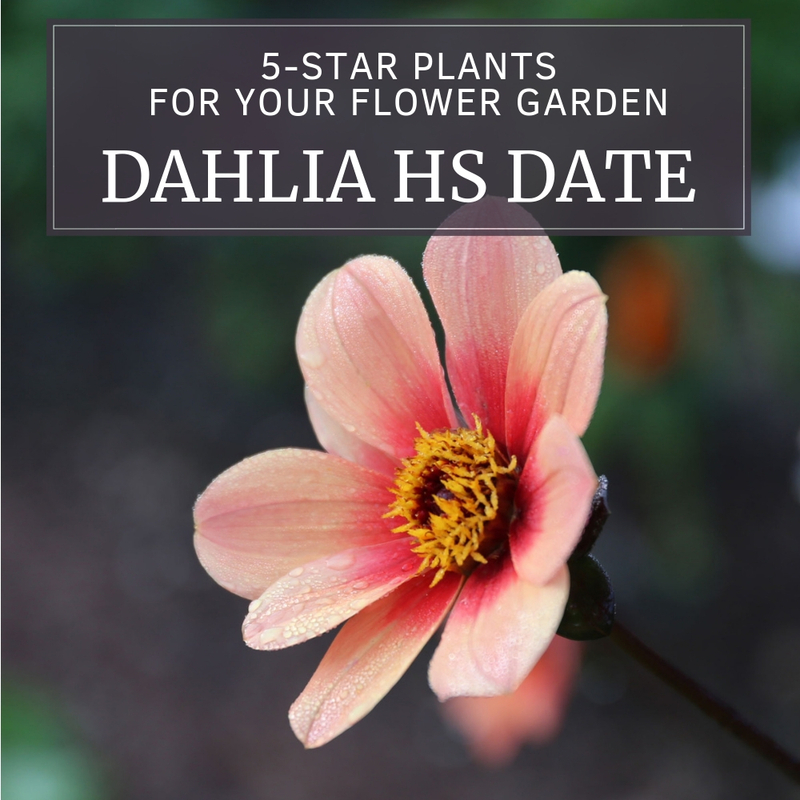 You’ll find Dahlia HS Date available HERE and the equally beautiful HS Flame available HERE. 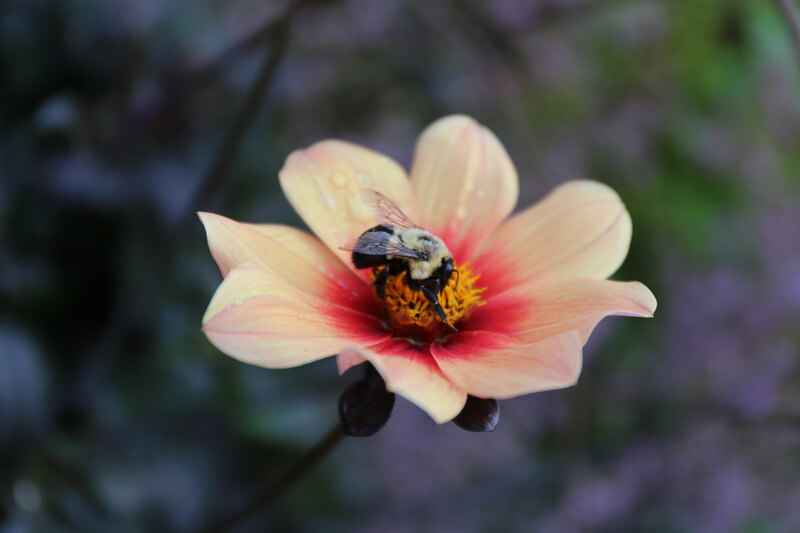 Another beautiful reason National Garden Bureau has designated 2019 as the Year of the Dahlia! Love Dahlias! 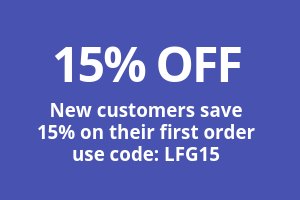 Hi Gail – Yes! I fell for them about 10 years ago. This summer I’ll have more than 100 dahlias in my garden. Yikes! I bought a bag of these last year and ordered 2 more bags for this year. The colors are true to your photo of the double bloom and look beautiful as they sway in the breeze on long their stems. I always preferred cactus or dinner plate dahlias until I tried these. The contrast with their dark leaves makes them glow and they look lovely when planted near chocolate cosmos.